"From the Heart, for the Heard" Part 2 of 2. Zog and Zom discover the secret history of the Triceraton race's origin, with deadly ramifications for planet Earth! 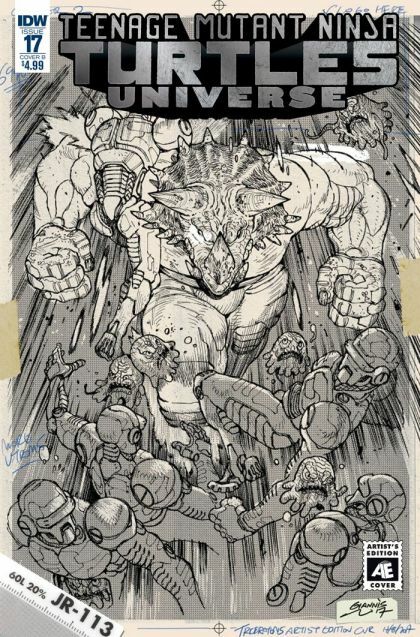 • Ties into the TMNT ongoing's "Invasion of the Triceratons!" • Part of IDW's Artist's Edition Cover Month!